I’ve always been curious how much of the work we create is a product of our environment. There are long dissertations on the Nature/Nurture impact on each person’s development, but how much of the visual/sensory experience is consumed and metabolized and then makes its way into the artist’s work? This is an ongoing obsession of mine as an artist and traveler. Sometimes the response is to create a literal sense of the place, other times it’s a completely abstract internal expression that looks nothing like the immediate world around me but is a visceral memory only to myself. In this post I can’t possibly fit in all I want to say about this exploration, so I will only touch on it here and will continue to blog about it in future posts. 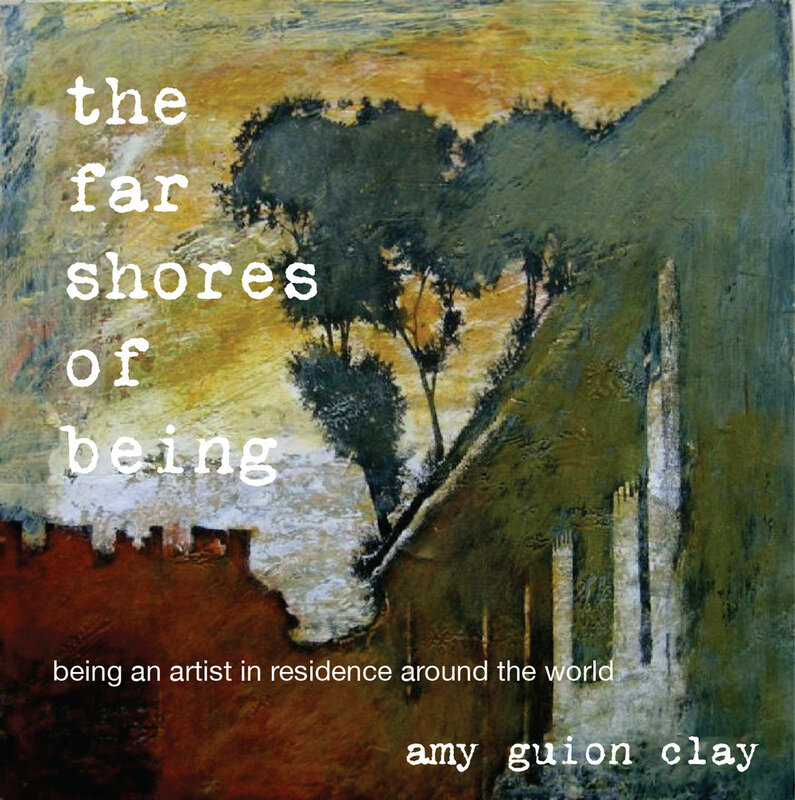 My first year of artist residencies some years ago was in pursuit of just this question. My whole artist proposal was about wanting to know how my work would change going from country to country over the course of a year. Would it be impacted by the new color palettes, the landscapes, the materials I found and used, and even my comfort level? How would the culture, language, foods change my whole experience and therefore my paintings? Would the people I met along the way influence me - for better or worse? And what about when things go awry - would the drama be an unwelcome distraction or grist for the mill? Well if you have read my book The Far Shores of Being (free download below) then you know the answer is all of the above! Everything impacted the work I did. I do not paint in a vacuum, I am keenly aware of what is happening around me. Whether it’s a rowdy urban environment of nightly drinkers or a peaceful country home with just myself and my host. Whether I’m warmed by the spice colors and textiles of Turkey or cooled by the greens and aquas of southwest Ireland. All that said, in the end, I paint from an internal center that actually has little to do with any of those variables. Ultimately, it is both about place and not about place. It is responding to the world and entering into the stillness beyond the world. I know I’ve landed rightly when both the inner and outer have coalesced in a timeless experience and a compelling work. This is what I’m constantly seeking and the reason why I do what I do. 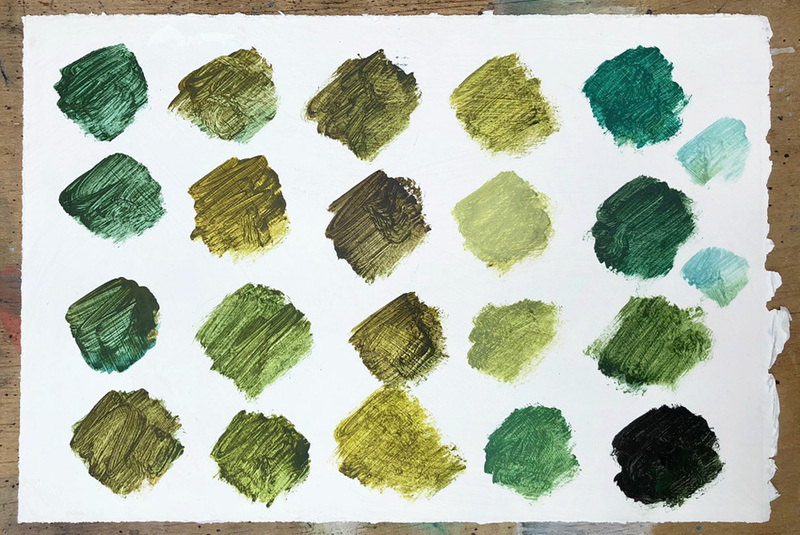 Painted swatches of the myriad greens and aquas in my world in Ireland. To give you a tangible example, take my recent residency at Cill Rialaig Artist Retreat in southwest Ireland. Some places just scream out color, and nowhere more so than the Emerald Isle. Of course, I took zillions of photos to start, agog at the brilliance of the almost neon greens in the sunlight. Then I couldn’t wait to start mixing color - not just the myriad greens but also the aquas of the seafoam and coastal waters. There is the obvious influence of landscape and color of course, but then there is the impact of mood, silence, being out of contact with the rest of the world (wifi not working!). I felt very much at peace in my cliffside retreat, and the paintings reflected that state of mind. I was lost in an elemental watery world and it showed in my paintings. There are also practical considerations when traveling, and often I work on small sheets of paper or use materials I find laying around. This changes the work in obvious ways. The other forces at play, the mysterious guidance of I know not what, come together to produce work that would never be done in my home studio. Like snapshots (do we still use that word?) that record a moment, these paintings exist only in this moment in time, and if not grounded, would be lost. The greens may be obvious here, but the bright turquoise waters added a rich variety of aquas to my palette. 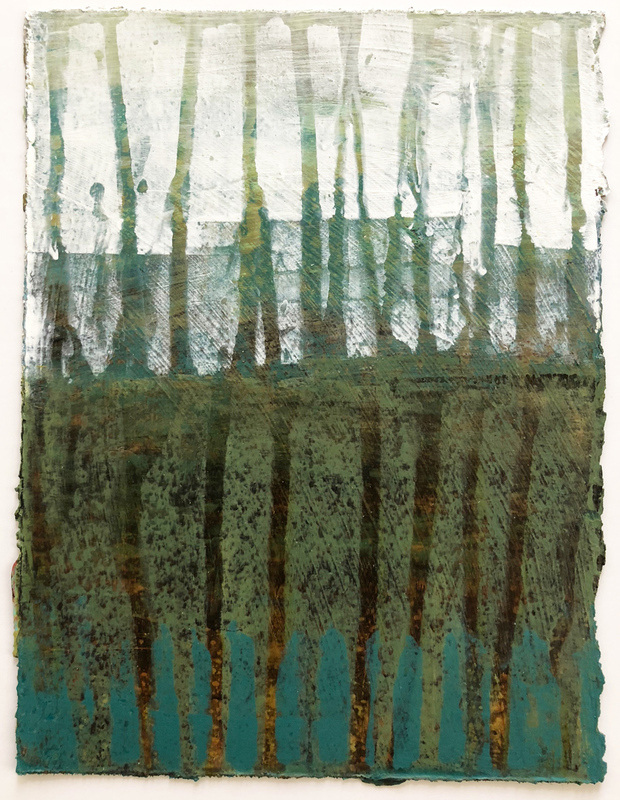 A painting inspired by the Bog. Deep Burnt Siennas and Umbers and yellow golds. My peat burning stove in my cottage was ablaze most evenings. While in Ireland, I also reflected on the metaphor of the peat/turf fire that warmed my cottage - peat that is dug from the bog, dried, and then used to fuel my chilled bones. I was inspired by the alchemical change of composted earth into warming fuel, so this became the inspiration for my upcoming painting classes. How do we turn the fullness of our own life experiences into the fuel for our artwork - rich, complex, fecund and unique. So how has being in different environments changed your work? I’d love to hear your stories!